The U.S. Marine Corps is planning to update its Kaman K-Max helicopters to incorporate autonomous capabilities intended to support experimental cargo delivery operations, Flight Global said Thursday. 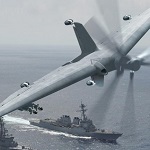 Lt. Gen. Steven Rudder, the Marine Corps’ deputy commandant for aviation, said during a Senate Armed Services Committee hearing last month that the service branch plans to modernize its two K-Max aircraft as part of its K-Max autonomy research effort and Marine Air Ground Task Force – Unmanned Expeditionary Capabilities program. Lt. Gen. David Berger, head of Marine Corps Combat Development Command, said the service branch needs new amphibious ships to support future war at sea, Military.com reported Wednesday. Berger, recently tapped to be the next commandant of the Marine Corps, said at a recent meeting in Congress that the service lacks the vital ships needed for large operations. The U.S. Marine Corps intends to implement a new grenade launcher to support long-range and short-range infantry engagements and performed tests to evaluate the weapon's technical characteristics. The M320A1 weapon is geared for standalone and rifle-mounted use during day and night operations, the service branch said Friday. The U.S. Marine Corps began efforts to enhance an existing identification technology employed by law enforcement battalions. The Expeditionary Forensics Exploitation Capability is a portable toolset designed to help law enforcement troops gather, analyze and store data associated with friend or foe identification, USMC Systems Command said Tuesday. The U.S. Marine Corps is requesting $21.6 million to acquire MUX sea drones for fiscal year 2020, Marine Corps Times reported Tuesday. Capt. Christopher Harrison, a spokesman for the service branch, noted that the funding will support technical concept maturation and experimentation efforts for the amphibious ship-launched drones ahead of an operational capability certification in FY26.